Unfulfilled expectations. A situation in which a strongly held expectation is not met. Irrespective of where we come from or what we intend to do or are even doing in life, the truth of the matter is that no one enjoy disappointments of any sort no matter how blessings filled it's usually claimed and said to be. 'Every disappointment is a blessing' they say, but definitely not immediately as all it requires to turn it into blessings of any type is enough patient and endurance. Expectation postponed certainly makes the heart to be sick for a while or even for a long period of time. It is disheartening to give a good proportion of whatever we have in expectation of some things only to be told stories at the end of the day. But no matter how we dislike this as humans, disappointments of all sorts continues to befall us all and are being met with various reactions by the people. Some has grown thicker skins because of it, others had allow it to get better parts of them. What about you, have you tested it? (!.) Everyone of us do entertain hopes of something better in life no matter how good the present situations in life might be for one. In fact, it's an inborn tendency for human to aspire for something better than the present things one may have even though it is being envied by others who may not have it or even if they do. This has no hundred percent guarantees of turning out as expected. (!!.) Generally speaking, we also want things to be better for ourselves and no matter how some of us may pretend, we want to be bigger than every other persons we come in contact with and have some things displayed for them to admire and secretly or openly praise us in some ways. This too is one out of so many cases of failed expectations. (!!!.) When such inordinate feelings are allowed to fester over time, greed comes in and senselessness with all its bogus expectations takes over and unknowingly to the person dismay, ends up heavily disappointed for not getting what he had expected. And that turns out to be the zenith of it all. That is on one side. (!.) Disappointments after long courtship. It usually appears as if it's the end of the world for some thing to thwart a planned marriage. 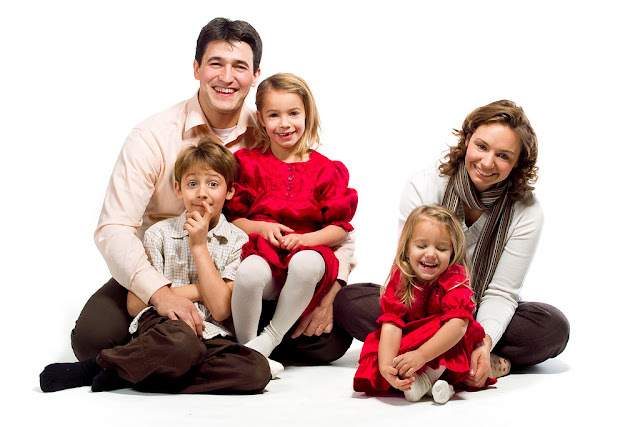 Reasons: Sudden death, One of them may decide to terminate the relationship for some personal reasons, Actions capable of ending the marital agreement such as unfaithfulness, some strong opposition from any of the family members, or unpleasant family history from any side. All of these are heart breaking! Trust leads to over confident in a person that he could never do anything funny with the level of trust invested on him or her. This could be in a marriage, in business, and in friendships. 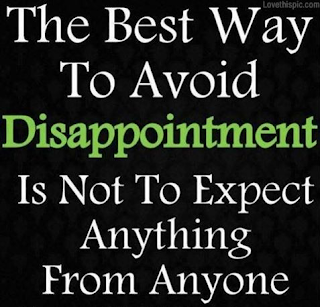 Other forms of disappointments could be from some unforeseen happenings as in accidents. Disappointments are just what they are, failure of expectations. It could be in shares, in education, and in business. A person did no wrong for having his money invested in shares of any company while hoping for his profits at the end of the day but sometimes, stories has been all the person gets at the end of the day leading to outright disappointments. Someone might have business agreement with a friend or anyone with some high hopes of getting his own shares of the deals after the execution but often time than not, such hopes have been dashed due to greed or some unforeseen. Neither does this give any reason for rejoicing. A person may have invested heavily in education hoping to come out and secure a well paying job with his or her academic qualifications and live happily ever after. But just like the last sentences here, that is only in the novels. From the points above, we have been able to analyze various forms of disappointments both genuine ones and greed-led disappointments, but in all, what are we to learn from disappointments in all its forms? 'Every disappointment is a blessing' that is how it is generally accepted and believed to be, but how true is that? Put simply, every disappointment can never be a blessing instead of that, it could be better said that 'some disappointments' are blessings. Though I may come under some heavy critics here for saying this but none of my likely criticizers can come up with concrete evidence to back up their claims if not for some make up stories of unverifiable legendary. Let truth be told, many people today have had their dreams chartered by one disappointing experience or the other and their lives have never been the same again. What verifiable reason do you have to give someone who got involved in an accident on his way to his dream job interview which could have seen his entire family out of poverty? Name it rightly as an unforeseen experience and a bad one at that not any type of blessing because blessings are not heartbreaking and never works in such ways. Sometimes though, it could truly be called a blessing when such disappointment prevented one from being killed, entering into some wrong types of relationships or saves one from being duped and so on. 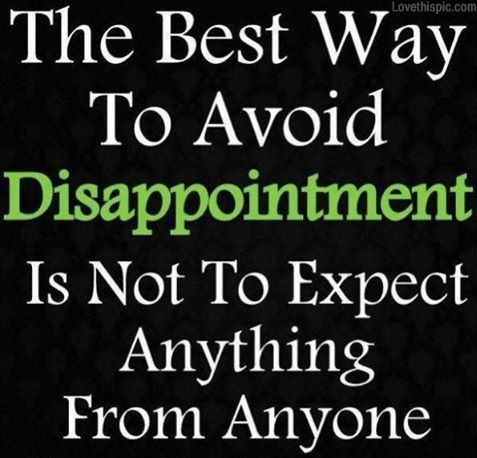 So since it's neither there nor here, what then is the best approach to disappointments in life? It is better and has always been when we accept the very fact that we are limited in so many things in this life. It is also far much better to be ignorant of some things instead of being imprudent (a.k.a) Mr know all, thereby feeding others with what we don't even know much about. Disappointment could come to us at any point in time due to whatever expectations we may have either rightly or wrongly, but it has always been better if it's clearly spelt out and taken for what it is and follow things through and thoroughly. When what we had expected for long turned out to be out of reach and reasonably so, it therefore should be a cause of wisdom to disconnect any attachment with that and look up for something else that looks more promising and assuredly so. Instead of becoming dejected because of failed promises of our ex-boy friends, girlfriend, teacher, boss or whoever, it is better move on with one's life purposes and aim for something better than that which eventually did not turn out as expected. There was experience of a graduate who was disappointed for not working where he had expected to work in life but who got employment in a firm that was far more below his qualification, instead of bemoaning his plights and envying his mates that were more fortunate than him, he didn't allow that to disturb him but worked effectively with his qualifications to grow the company into a world standard organization. Disappointments are often blown out of portion by some of us simply because of impatience on their part. Disappointments doesn't really has to be as it's often expounded by some people but an avenue to be more serious with whatever we are doing and to be wiser with it. Disappointment is real and should be handled as such instead of renaming it with what is not. Yes, we failed at it this way, good, but what about trying it that way? A person may stand for the truth and fight for the truth even when all others backslide and become worst, but remaining true would always have you proven true. * Disappointments should never be a enough reason why a once sincere person has to turn into an armed robber. ** Disappointments is not a genuine reason why a virtuous woman has to become a harlot. *** Disappointments should rather be a motivating force to do more instead of relying on empty promises of those without the fears of God in their life. When disappointment is handled rightly and fought it with all that we ve' got, chances abound that we would come off victoriously and get appointed instead of remaining dejected because of some unfulfilled expectations that comes and go at some certain points in the lives of all the living.